An Advance is a series of battles for Industrial Resource between two clan detachments on bridgeheads. The ultimate aim in an Advance is to capture all enemy Lines and the Citadel. Advances follow a schedule. To view the schedule of upcoming battles, click on (Battle schedule) on the right of the Clan Battles button in your Stronghold, or in the Stronghold: Battles window. You can also open the detachment list right from your Garage. Select Stronghold: Battles in the menu on the Battle's button right. 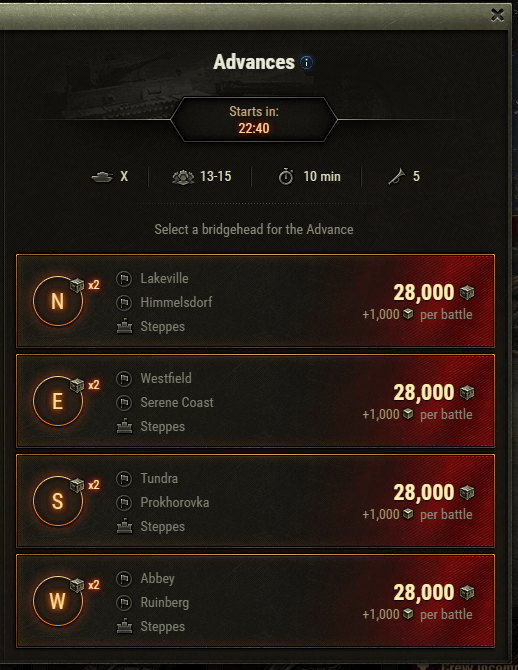 The list of bridgeheads is displayed on the right part of the Mode Selection window. 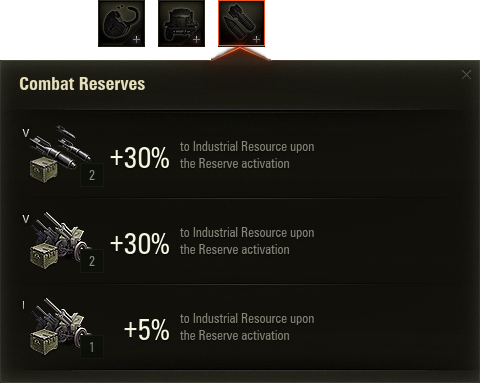 For more information, check out these articles: Using Reserves and Combat Reserves. Once the detachment is formed, the Commander confirms that everyone is ready for the Advance. 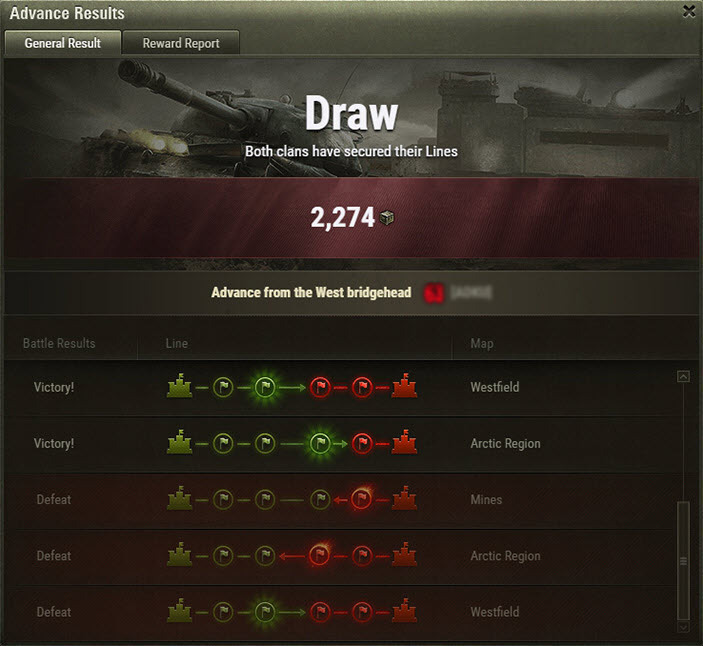 Opponents are matched by player skill among those who are ready to fight. If there are no clans of equal skill in the queue, so your enemy is selected at random and may be stronger or weaker than you. 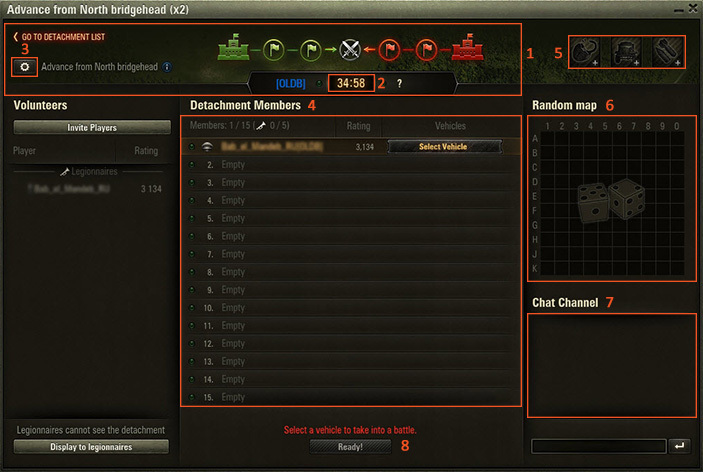 If the battle ends with a draw, the attacking detachment is chosen at random. When both detachments confirm that they are ready, the battle begins. If the Advance ends in less than 17 minutes and the opponent’s Citadel is not captured, the current battle is fought until the end, but a new battle won't start after it. Detachments get their reward according to the number of Lines under their control. The more Lines they capture, the greater their reward is. Moreover, detachments get Industrial Resource for every battle fought during the Advance. Important: The x2 for the first win of the Bridgehead doubles your number of resources, and this is also applied in a partial win. If one of the detachments does not confirm that it is ready to fight before the start of a battle, that detachment suffers a technical defeat. After a single technical defeat, the advance continues, with a break of 3 minutes.